OpenEVSE was designed to work anywhere across the globe. It's open design can be adapted to your requirement. 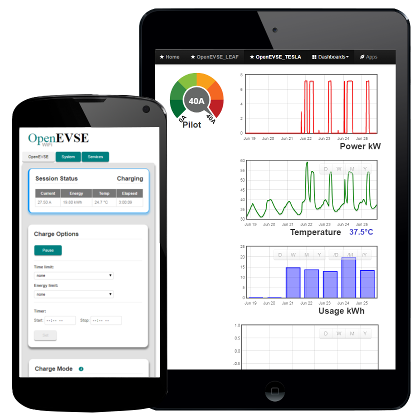 OpenEVSE supports advanced features including adjustable current, temperature monitoring, and real-time power display. Let our experts hand-build you an advanced charging in the USA based on proven OpenEVSE hardware. Our charging stations are much more than a power cable, offering high power and advanced features for an affordable price. OpenEVSE kits designed to give technology enthusiests an easy to assemble project. Kits go together with simple tools, only a couple screwdrivers are required. No Drilling, Soldering, or Crimping Required. 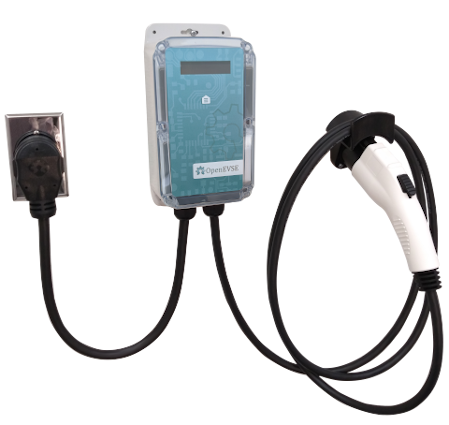 OpenEVSE offers replacement parts for many common Charging Stations. OpenEVSE parts enable commercial customers to save countless hours of devolopment. Many designs based on OpenEVSE parts have sucessfully compleeted UL and CE testing. OpenEVSE supplies open source charging station hardware and software solutions to manufactures and individuals. OpenEVSE SAE J1772 compatible charging station controllers are available in quantities of 1 to 10,000+ for requirements big or small. OpenEVSE controllers allows manufactures to bring their products to market sooner at a lower cost than designing from scratch. OpenEVSE features open standards based protocols, control your station... Automate your home... You control your station and your data. Powerful Search tool to find solutions to common problems. OpenEVSE discussion boards allow communication, colaberation and sharing with the community. Source Code for OpenEVSE hardware and firmware is avaliable on Github. Build guides provide video, visual and step-by-step instruction to build OpenEVSE kits. OpenEVSE is active on many Social Media outlets, visit the links on the bottom of this page. Contact us via E-mail anytime, for info, volume quotes or questions. My 12 year old daughter and I assembled the kit together. She was excited to show me things she learned in school. I found the large 240 VAC plugs and wires easy to work with. We were operational after a few hours. This is a well engineered, well thought out kit. The parts are all high quality and I know will last many years, Thanks for making the EVSE industry feature rich and affordable! !